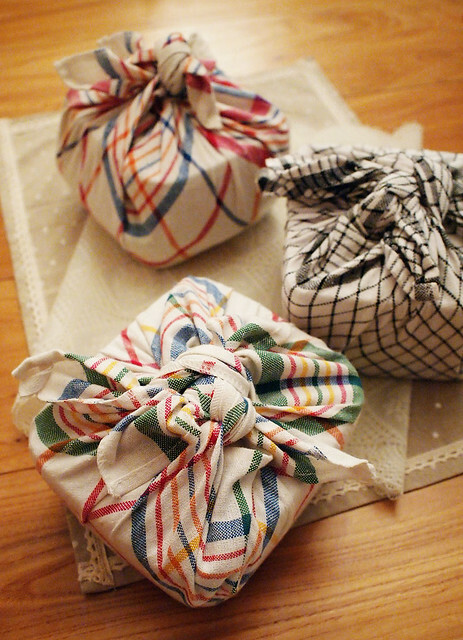 As always, it's super duper easy to make. Clean the fish thoroughly, scrub with a bit of salt to get rid of any slimy surface, season with salt and pepper generously, pan fry with a piece of ginger until the skin's golden brown in a bit of hot olive oil. 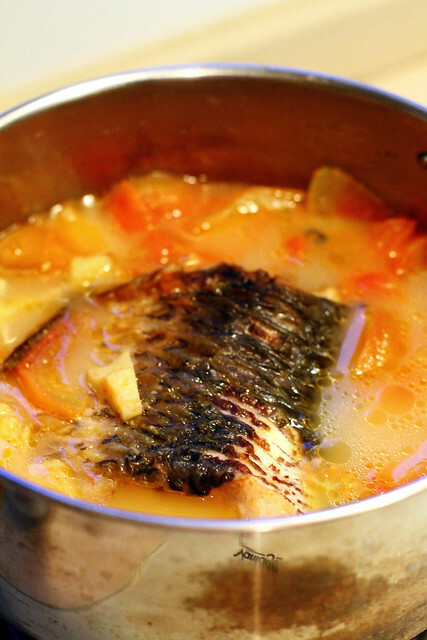 Add hot water into a pot, add tomatoes, the remaining of ginger, and the fish, bring to boil, simmer until the soup is creamy. Season with salt and pepper. Helped with my milk production...and NO PAPAYA! 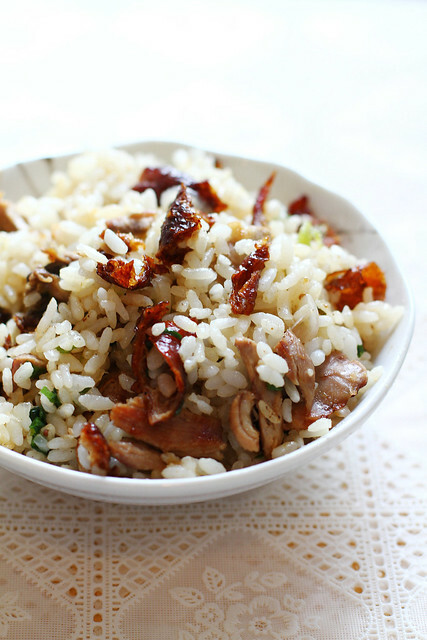 Got some leftover roast duck? Too hard & dry to consume on its own? Need a quick and tasty way out? 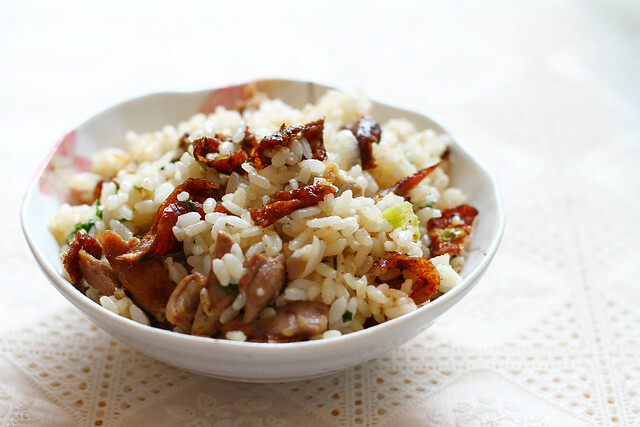 Saute shallot in a bit of hot olive oil, add diced duck, let cook a little to render some duck fat goodness, add rice, season with fish sauce and white pepper, mix well, add scallion, mix well, serve. Just my (another) low-b (idiotic) way to serve toasts. 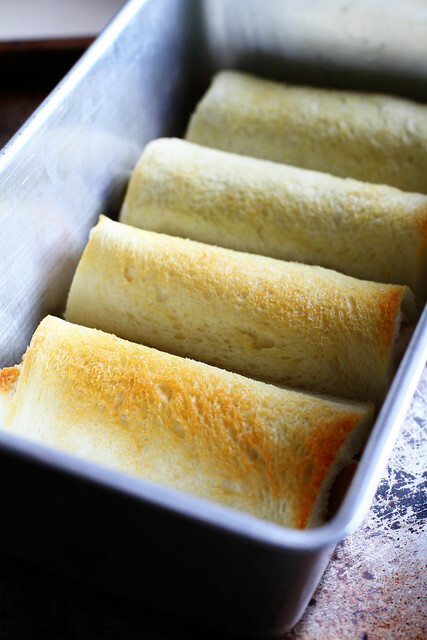 Use white bread or wheat bread (I love them crustless), add any filling you like...roll them and place them on a lightly buttered pan (well, you can generously butter the pan if you want your toasts to be more golden), brush the top with more butter and grill in a preheated oven until golden. Easy yummiliciousness! Buttery, slightly crunchy toasts with melted, gooey goodness oozing from the inside...oh lala! 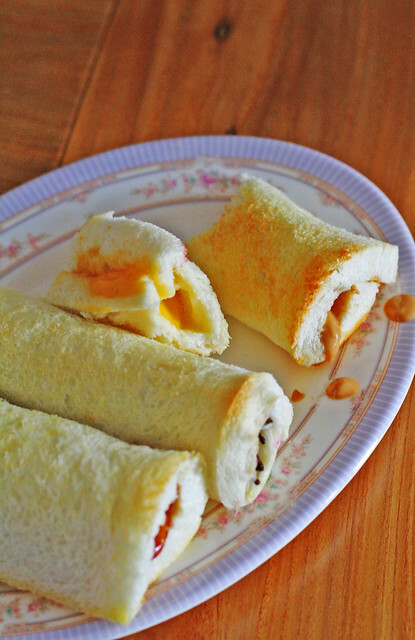 What's inside my rolled toasties? Hello corned beef, sausages, spam, cheese and friends...see you next time! This is a weird instant noodles habit I picked up from my roommate when I was in Sydney. 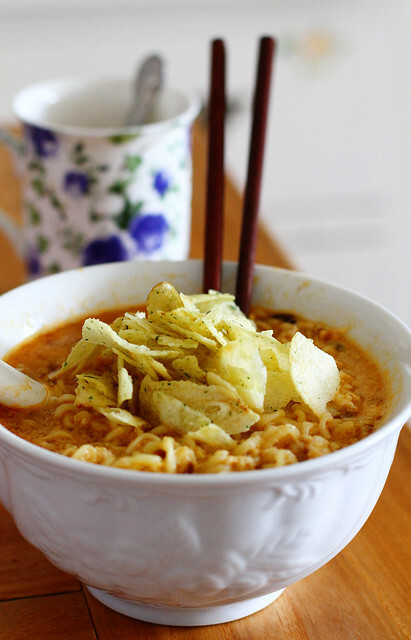 Shin Ramyun instant noodles + Egg mixed into the soup + a slice of el-cheapo processed cheese + ...a small mountain of potato chips = instant junk meal of champions! The egg made the soup thick and creamy (a good source of protein for poor international students), the melted cheese...well, melted cheesy goodness...there's no way it's not yummy, and potato chips in the soup? 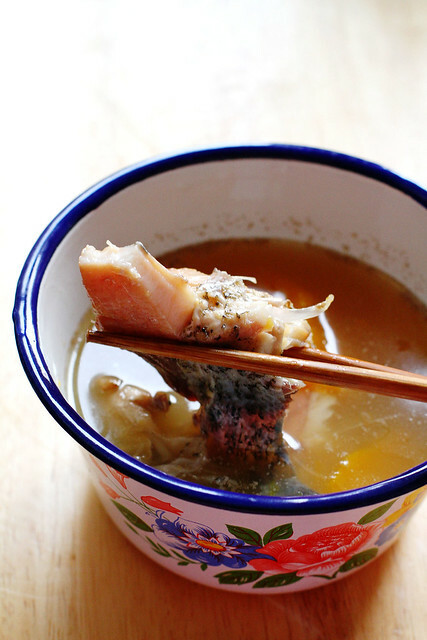 Love the extra crunch, and love them even after they're soft and soaked in the Shin Ramyun's tasty soup. 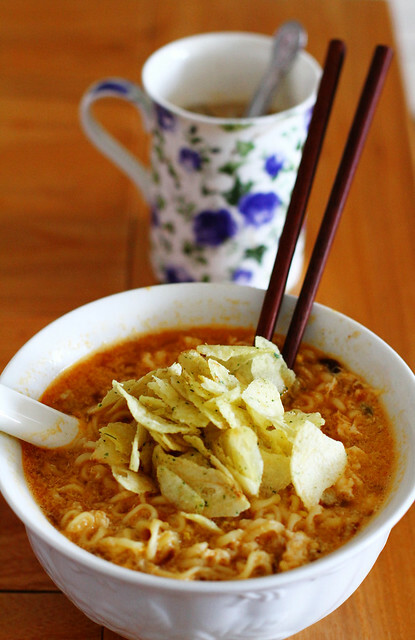 I used some leftover Lay's sour cream and onion potato chips - but you can use anything else that will complement the flavor of the instant noodle's soup base. 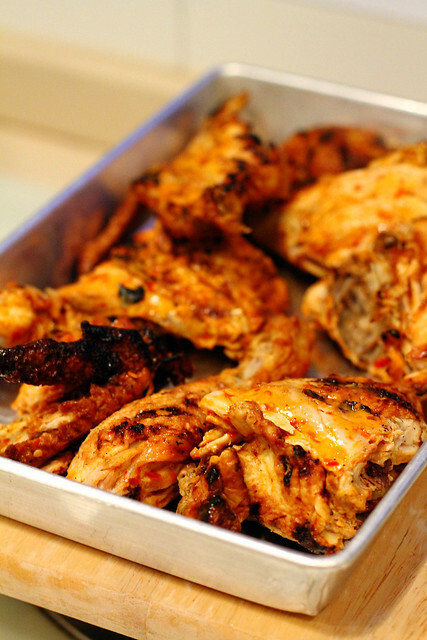 Juicy, spicy, charcoal-smoky, tasty tasty tasty grilled chicken! Thanks so so sooo muchhhh for this bag o' deliciousness, @lapetitcreme! 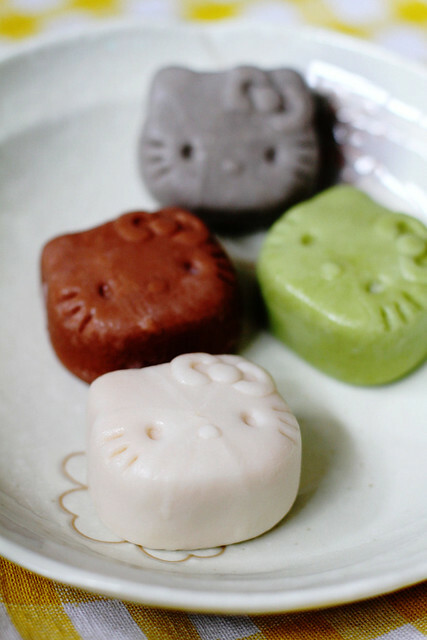 Hello Kitty Mooncakes - Happy Mid Autumn Festival! 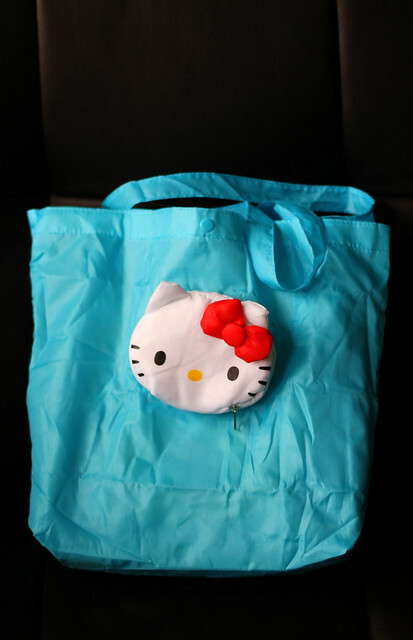 I can't understand my sudden attraction to Hello Kitty. All I knew was...I gotta have this box of Hello Kitty mooncakes from Maxim's. Extra cheesy, extra cute, extremely adorable. 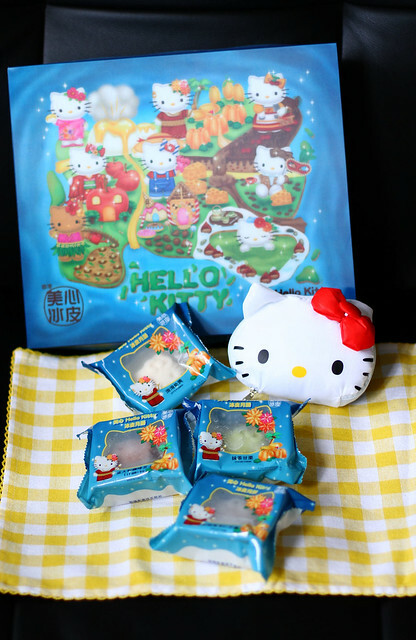 The box boasts 3D Hello Kitty hologram...each and every moon cake is individually wrapped in cute Hello Kitty packaging...bad for the environment, but good for sharing/giving out to friends/family. ...and what's that Hello Kitty head? How cute the mooncakes are? What's inside? Are they good? 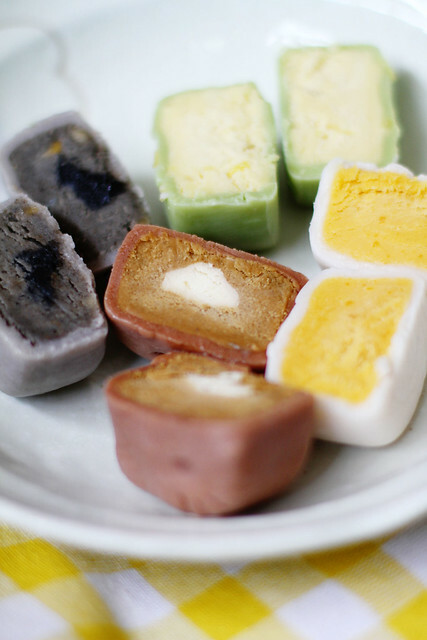 The black one = black sesame with macadamia nuts, very very nutty. The chocolate one = tiramisu, chocolatey, coffee-y, creamy. Love it! The best of four...the eggyolk custard! Slightly savoury, slightly sweet, super rich! Yum! We haven't tried the rest...mango, fuji apple, rocky road...but judging from these four...they should be pretty good. Happy mid autumn festival, everybody! PS. My Hello Kitty madness didn't stop there...see more here. Ew ew ew ew ew ew ew ewww!!! 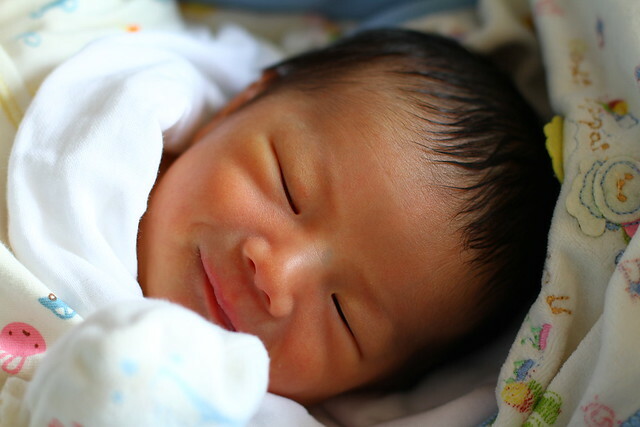 But sc's mama heard that drinking fish & papaya soup will increase my milk production (currently, my production is seriously lame ^_^')...and I do want the best for lil' Marcus. So, I thought, I'd only drink this Chinese soup wearing a mother's hat. I'll continue to drink more of this. 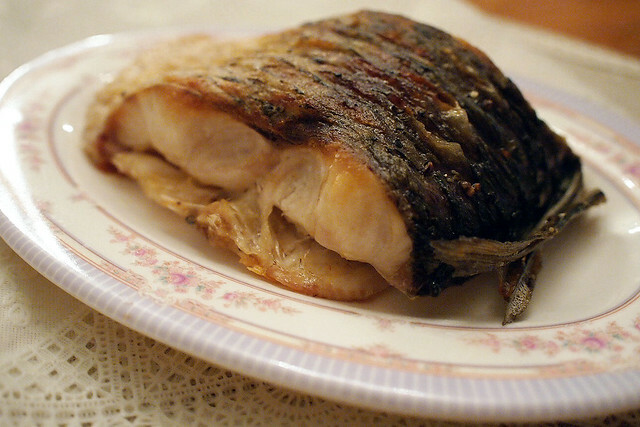 Clean fish, rub with salt and pepper, pan fry in hot olive oil to brown the skin. 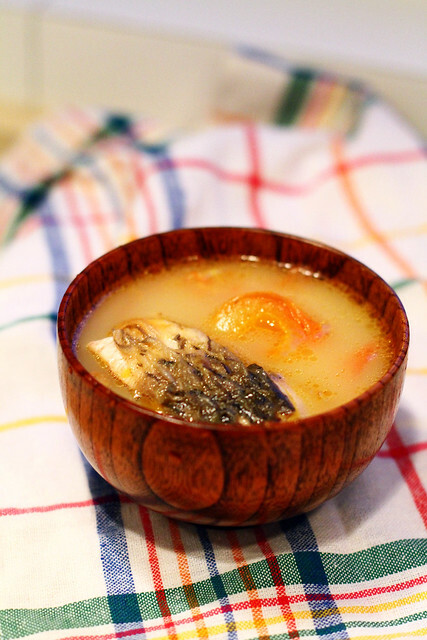 Cook the pan fried skin with chunks of papaya in hot water until the soup turns rich and creamy. Season with salt and pepper. One of my favorite fish, grass carp (waan yu), the belly part. 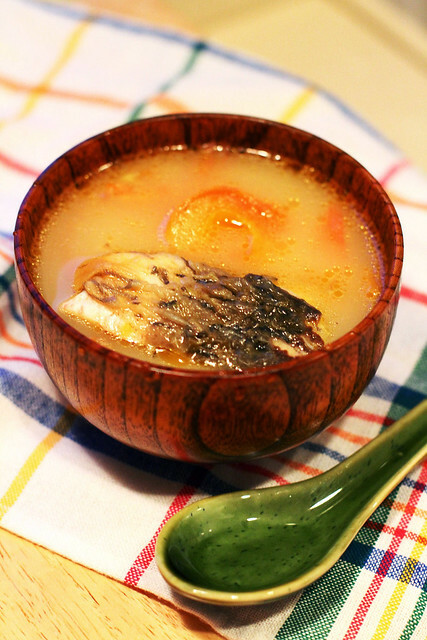 It tastes fantastic steamed, or cut into thick chunks and dipped into hot pot soup base...and this time, I wonder if it's gonna taste good grilled. Threw it into 200C preheated oven until the meat's just cooked, and drizzle it generously with lemon juice. Love! 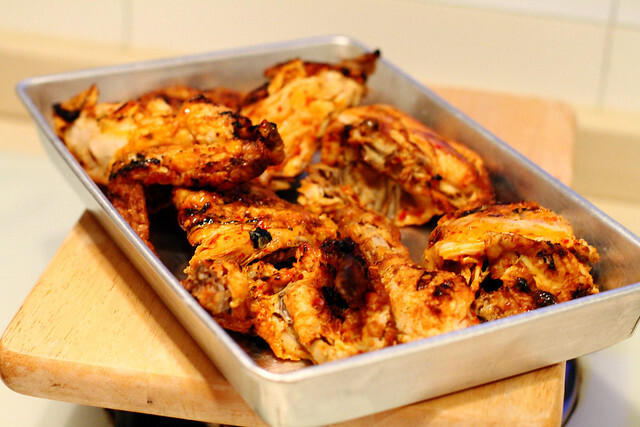 Especially the crispy skin. You can serve this with some sauces, soy sauce-garlic-chilli-corriander or butter- cream-lemon-herbs with a carb of your choice. 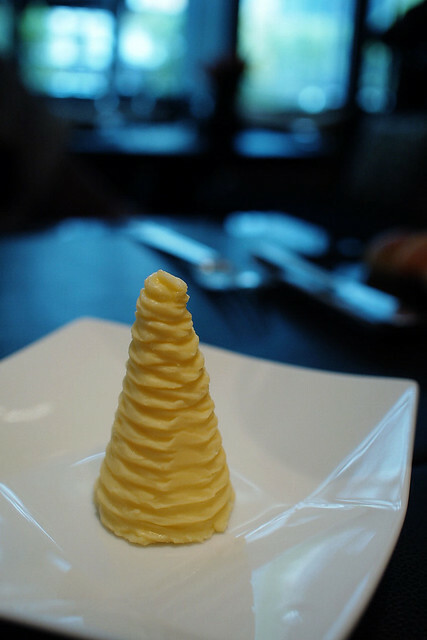 I was in the mood for a splurge, and brought my visiting sis and my giant belly to L'Atelier de Joel Robuchon for lunch. We've heard so much about this place, so, we were excited and expected to be blown away. I picked the cheese bread, bacon baguette and croissant from the bread basket. The mini size allows us to taste a few pieces without feeling too stuffed before the meal even began. 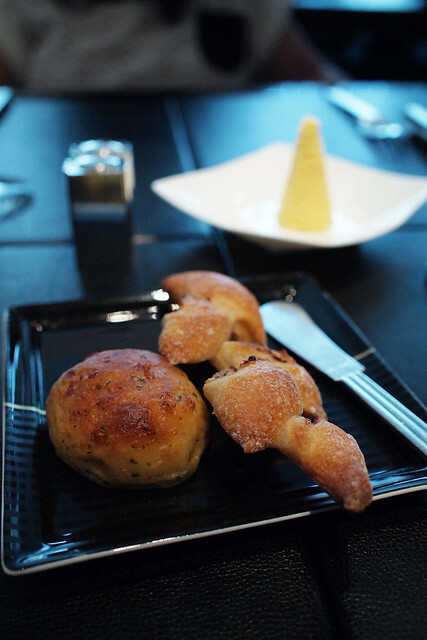 The cheese bread was soft, fluffy and wonderfully savory. The croissant was buttery, flaky and delicious, but the bacon baguette was way too hard...it was closer to a cracker than a baguette. 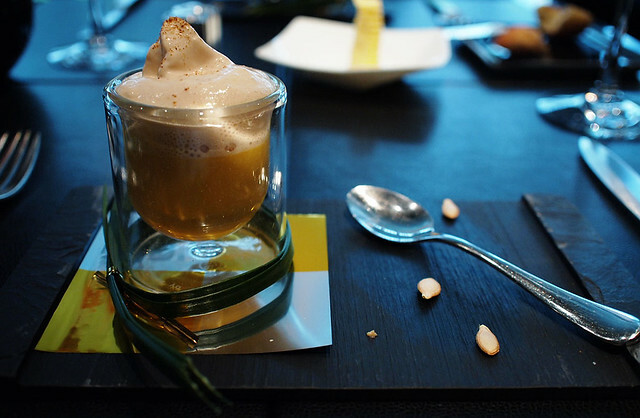 The base was slightly sweet, soupy and custardy, and the foam on top complemented the base perfectly. 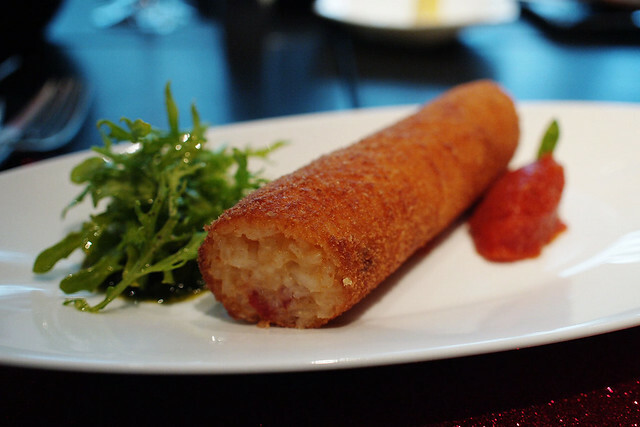 I had the Cromesqui de Riz (crispy risotto finger with chorizo and parmesan cheese, served with tomato concasse and pesto) as an appetizer. The croquette-ish risotto was crispy on the outside, I wish it was a little creamier and tastier on the inside. The tomato and salad with pesto dressing made the dish. It was ok, but we weren't too impressed. 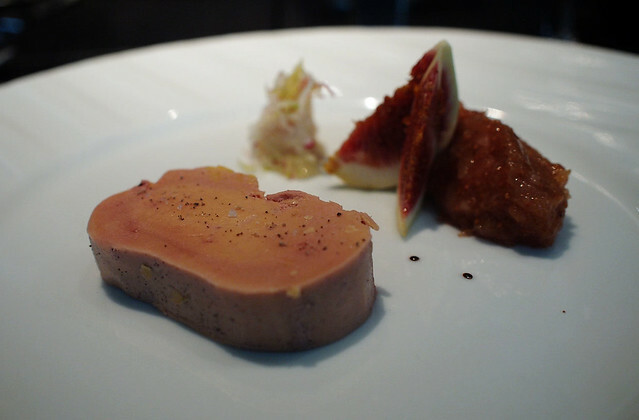 My sis had the Le Foie Gras de Canard (duck foie gras terrine with figs marmalade and spices). The dish could use a little something more to balance the sweetness and creaminess of the terrine. Although the fresh fig slices gave the dish a nice refreshing touch, and the crackers served with the dish helped, it was still missing a little punch. Ah wells, maybe I am just not used to subtle flavors? 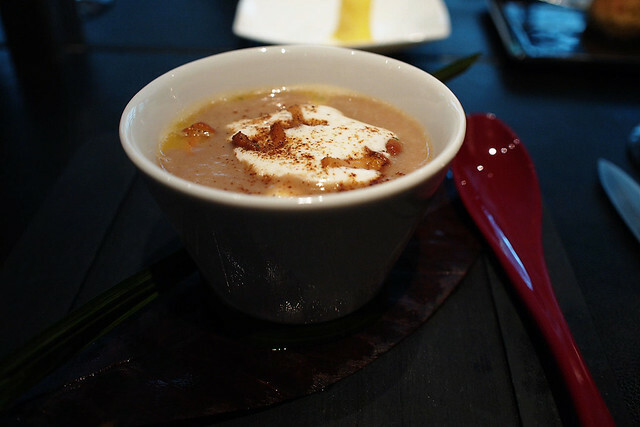 The La Chataigne (chestnut soup with mushrooms and chicken mousse dumplings) was one of the highlights. I absolutely love it! 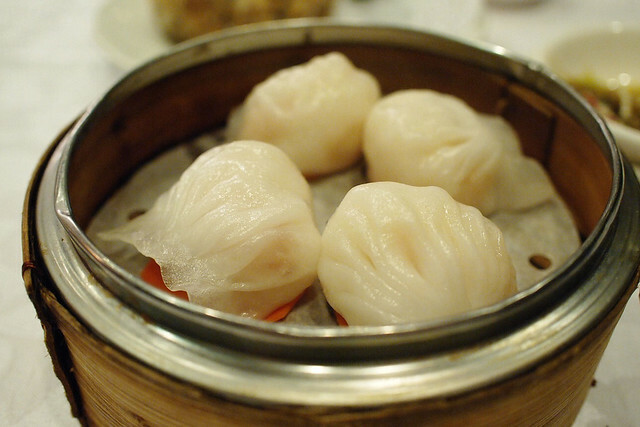 Smooth, sweet, and creamy with delicate little dumplings and tasty bits of mushrooms. 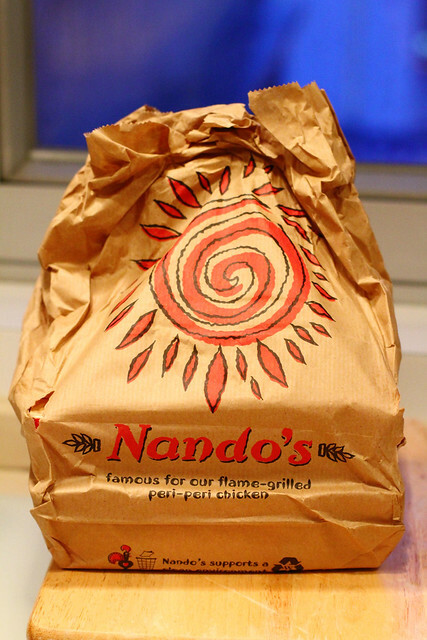 It was perfection. Hands down, one of the best soup I've ever had! 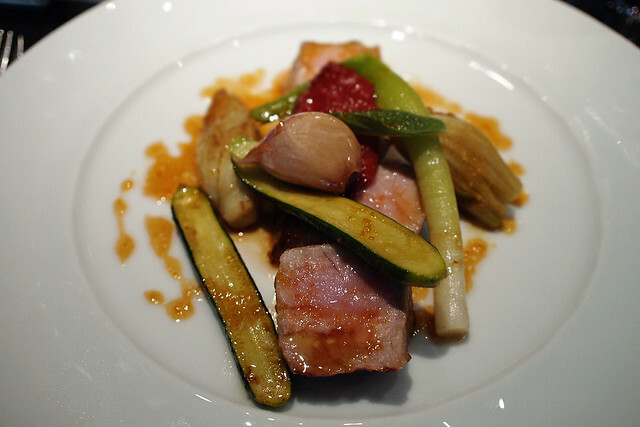 The Le Veau (veal fillet with sage and caramelized vegetables from the South of France) disappointed us. Despite looking perfectly cooked, the veal pieces were not seasoned well, felt a bit dry and they were too chewy, up to the point where we had to ask for a different knife to cut through them. There was nothing impressive about the caramelized vegetables served with it too. 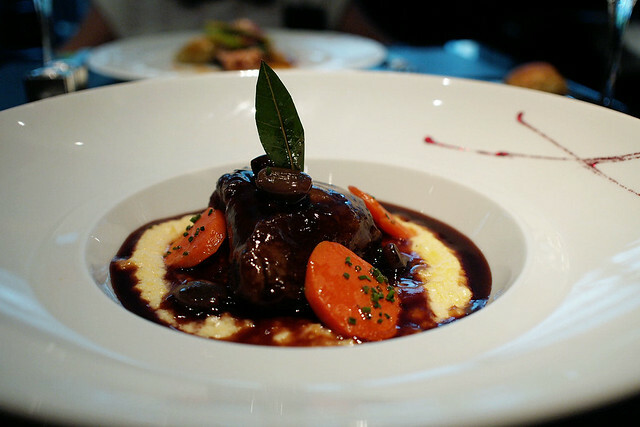 The Le Beuf (cheek of beef braised with red wine, parmesan polenta and Taggiasche black olives) was delicious. The meat was unbelievably tender and flavorful, the polenta was rich and creamy, and the black olives made the dish livelier. It was a tad too rich and creamy for the hot weather though, a few bites and you'd feel ugh. 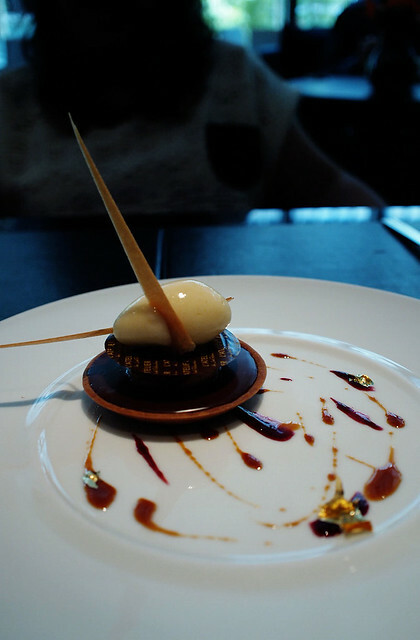 We ordered the La Poire (chocolate caramel tart with pear sorbet), the pastry base was crispy, maybe a little too crispy? The chocolate filling was nice and smooth, the pear sorbet was pretty refreshing and the tuille was paper thin and lovely. It was quite nice. 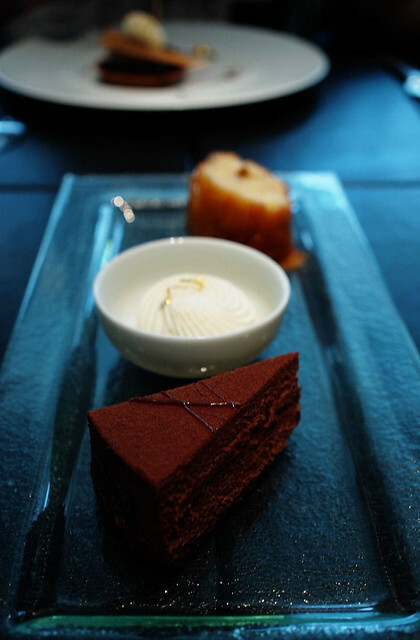 I picked two items from the dessert trolley, which was chocolate cake and the rum cake. Both were super duper sweet, wayyyy too sweet for my taste, served with sweet-ish whipped cream. They were so sweet, I only managed to have just a couple of tiny bites from both. I was rather disappointed that our server didn't ask or say a word despite seeing how we left most of the dessert untouched. 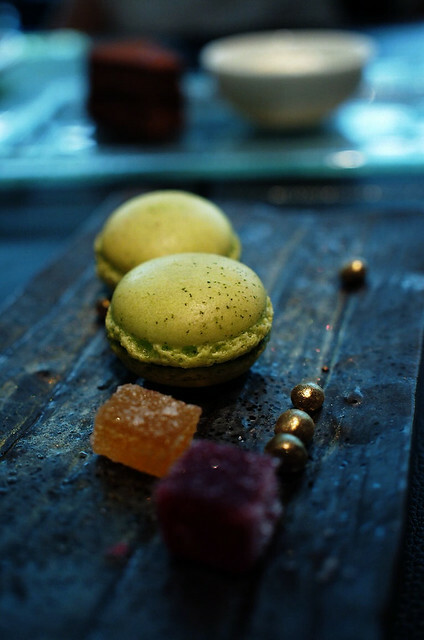 I am not a big fan of macarons, of which I normally couldn't taste anything but sweetness, but this time I could taste the pistachio flavor. The silver chocolates were nothing I'd miss, but the fruit pate cubes were delightfully fruity. There were a couple more of service related weirdness. Sometimes, when serving my sis' dish, instead of explaining the dish to her, our server explained the dish to me, and proceeded to say "enjoy!" again, to me, not my sis (???). When I spilled a small pile of tomato concasse on the table, the servers didn't clean the unsightly spill even when they were clearing our plates. We had to ask one of them to clean the spillage. I know the spillage was my fault, but...still. Weird. There were a couple of hits, some misses, but we were far from being blown away. But I believe that if it's good food, we'd enjoy it, and for HK$650 per person price tag, we didn't enjoy this meal as much as we wish to. Goodies from Indonesia - Yums! Look at what my sis brought! 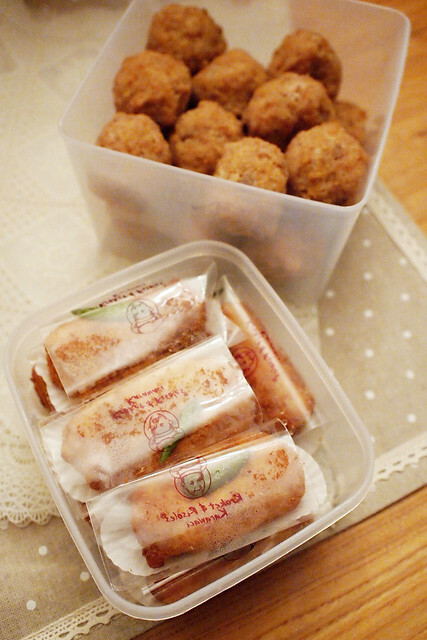 A box of fried beef balls, bakso goreng Indra from Semarang. YUM! Chicken ragout risoles from Risoles Karawaci. Oh my! 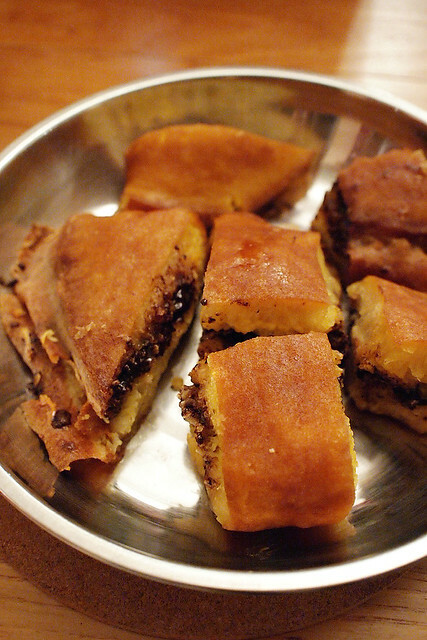 A box of chocolate and cheese martabak manis (thick Indonesian pancakes). I need to cut my carb intake. Ah wells...let's do protein plus then. 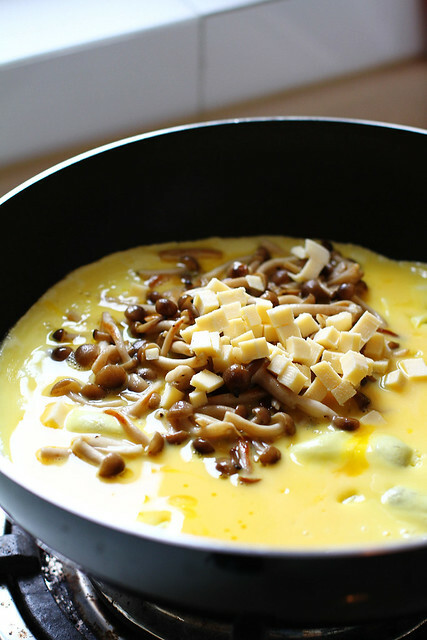 Eggs, milk, cheese and mushrooms. 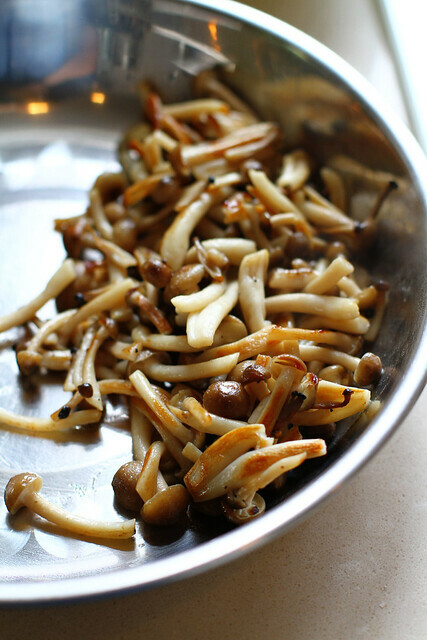 Saute some mushrooms of your choice with olive oil and a tiny bit of butter (optional), let them brown a bit, season with salt and pepper, set aside. Beat two eggs, add a bit of milk, season with a bit of salt and mix well. 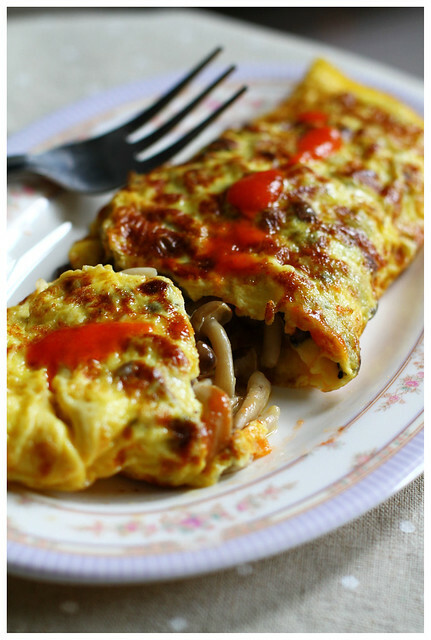 Add a bit of olive oil into frying pan, pour the egg mixture, let it cook gently, we don't wanna overcook the eggs. 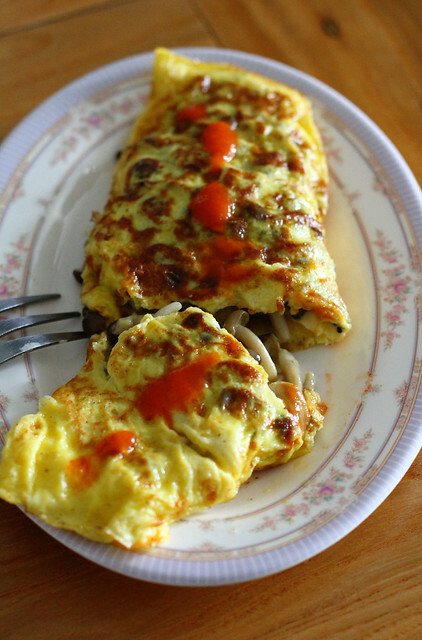 Add the sauteed mushrooms and chunks of cheese, once the egg is firm enough, flip the empty side of the eggs over the mushrooms and cheese, or you can tilt your frying pan to let some egg mixture to mix and get cooked with the mushrooms and cheese. I like the outer side of my egg to have a bit of brownage, so I increased the heat a bit to brown the surface. I like mine with a bit of Indonesian chilli sauce. 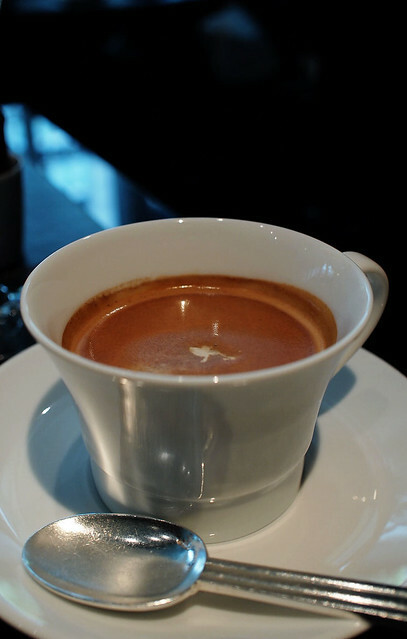 Enjoy this with morning coffee. I got to know this place due to its proximity to my old work place...and I fell in love. 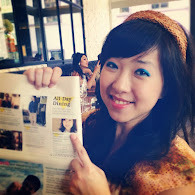 It is not one of those super famous dim sum restaurant, but because of that, I love this place even more! Making a reservation is easy, great food, affordable, good service. Love! 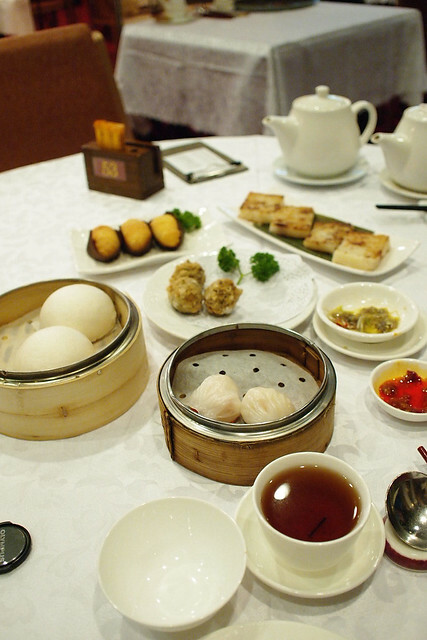 After months of having crappy dim sums at the one and only dim sum joint below my flat, this weekend yumcha was a treat indeed! Can't wait to go back there. 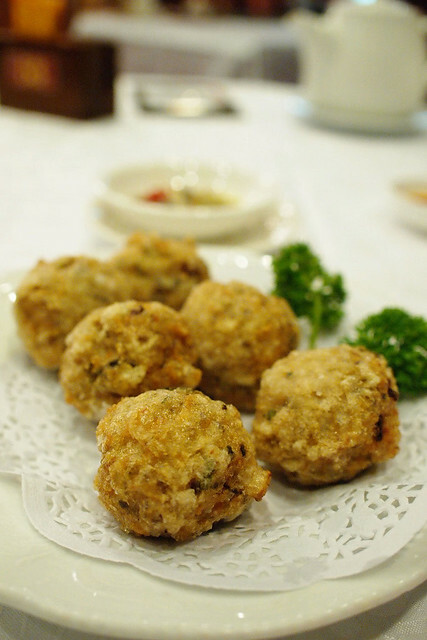 The fried fish balls was one of the daily specials for that day, and it was delicious! 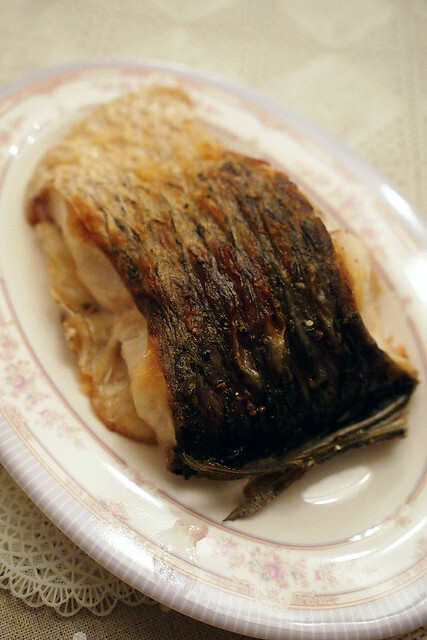 Crispy on the outside, beautifully bouncy on the inside and the hint of fragrant coriander made it just perfect. Served with clam sauce, but since I'm avoiding clams, I dipped it into chilli sauce (dao ban jeong) and it was still wonderful! Love the har gaw as well. 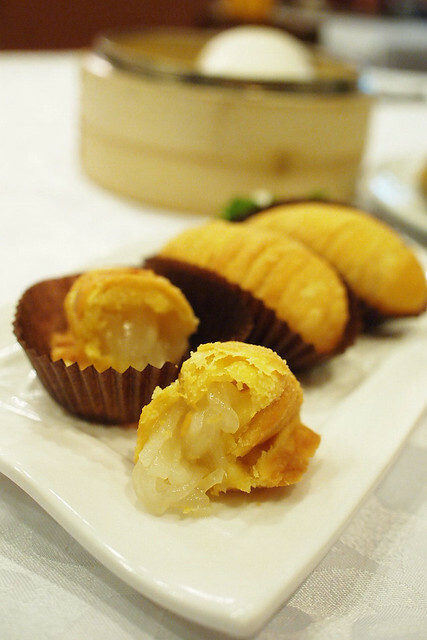 Thin and chewy skin with juicy and succulent fat shrimps inside. Yum! 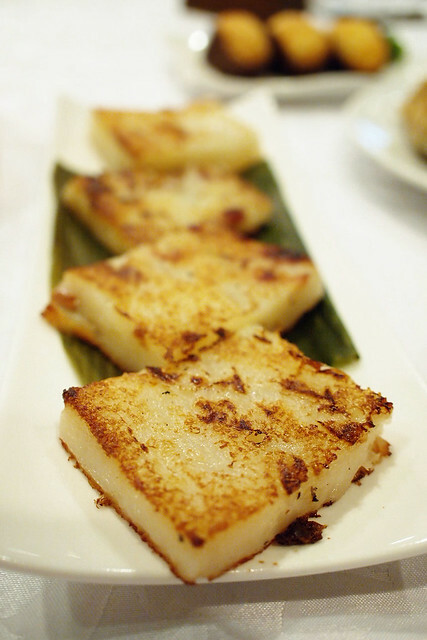 The lobak gou (pan fried radish cake) is one of my favorite...what makes it different from the crappy ones is...this one doesn't have the overwhelming amount of flour the crappy one does. Lovely! The savory pastry with radish filling were wonderful. 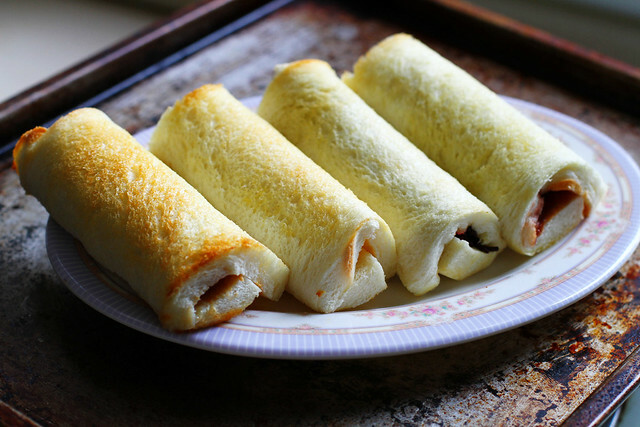 Light, flaky, not greasy, with tasty filling. 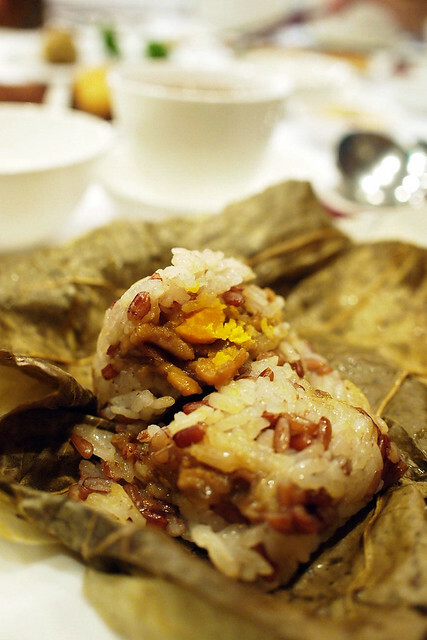 The savory sticky rice uses mixed grain, which I love...and it has subtly flavored filling, which is nicely balanced with the rich salted egg yolk. Precious! On to the sweets...love their the custard yolk buns. 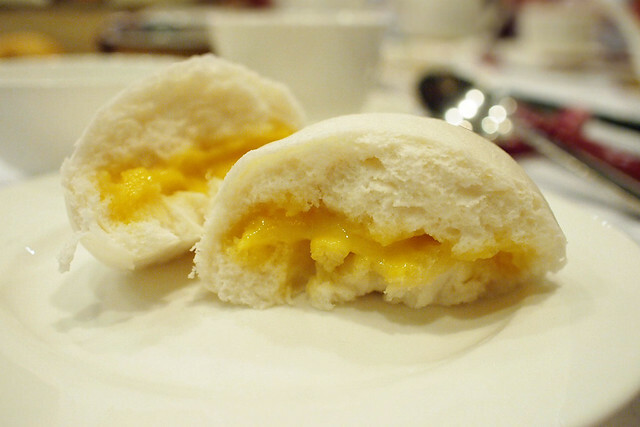 Fluffy bun with runny custardy, yolky, sweet filling. Sigh...I miss them already! 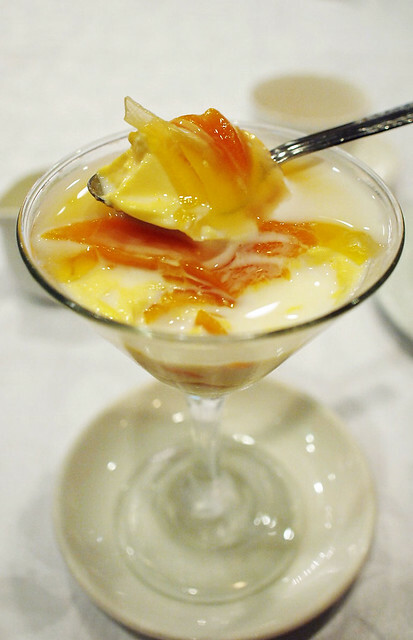 I am not a big fan of grapefruit...but I must admit that it has a certain refreshing quality, perfect to balance the richness of this sweet and creamy mango grapefruit dessert. 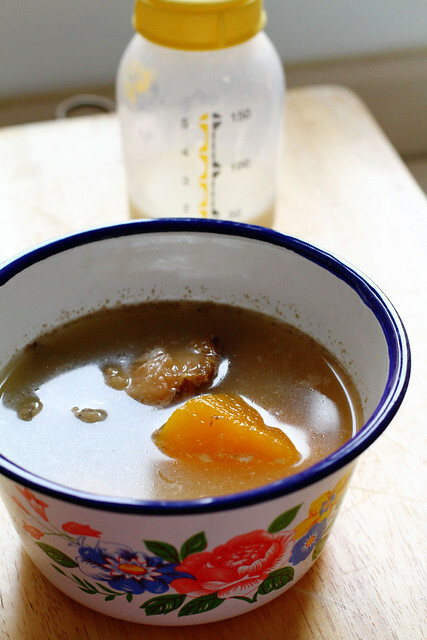 Each and every spoonful has chunks of mangoes. Delightful! 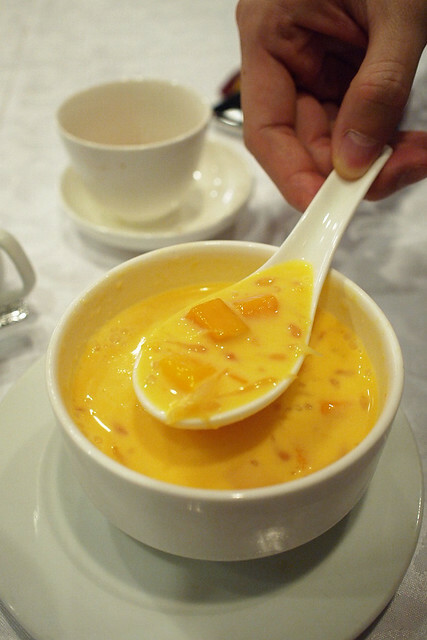 As if mango pudding isn't already sinful, I still managed to drench it with evaporated milk. 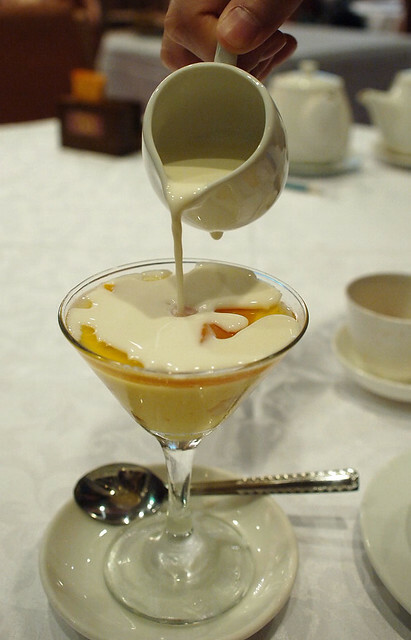 The first layer was clear gelatinous mango jelly, with a few chunks of mangoes on top, and the second layer was creamy, silky, smooth mango pudding with lots of mango chunks. I couldn't ask for more...it was yummy to the max! 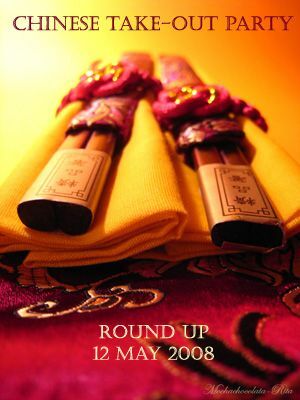 ...we were totally satisfied, and the whole meal costs us HK$108 per person.